Strategist Steve Bannon naturally comes across as the bomb throwing desperado, cynical but determined. Special attention is given to his views of a meeting between Donald Trump, Jr. and various members of the Trump campaign with a Russian lawyer possessing electoral gold on Hillary Clinton. This, according to Bannon, was “treasonous and unpatriotic”. 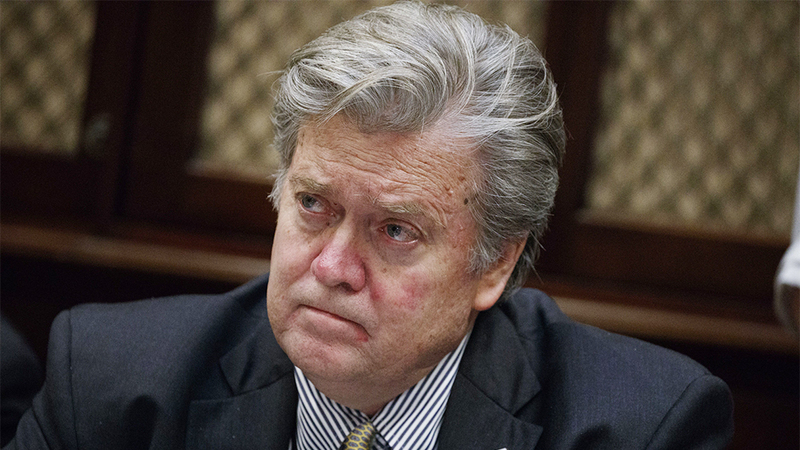 Watchers of Bannon would have known that the president is deemed a historical weapon and accessory, less a person of his own mind and vision than an object of necessity. In the motor of history, actors are not, nor can they be, aware in terms of the disruption they cause, or the consequences that arise from it. The verbose German philosopher G. W. F. Hegel took one look at Napoleon and realised that before the world bestrode a World Historical Individual, a somewhat bombastic variant of the hero in history. Bannon barely sports this view of Trump, though he regards him as a vessel of some use, an assassin of historical worth, the great destabilising figure who just might throw out everything, rot and all. Bannon sees the president as a “blunt instrument for us”. Whether he “gets it or not”, a view he outlined in Vanity Fair in August 2016, was less an issue for Bannon. Whether this papering over is of any effect is beside the point. Bannon and Trump are linked, bound by an insurgency that rocked, and continues to unsettle the furniture from the White House to the Pentagon. Washington continues being rattled and shaken. It is an unsettling event that is bound to continue beyond the relationship, Trump always an echo of the man who proved indispensable in jimmying the safe to the White House open.